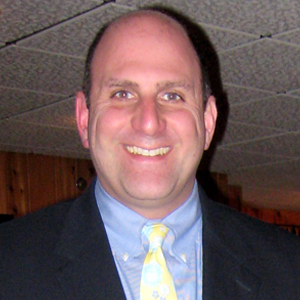 Paul Kadri (b. August 10, 1965) is a longtime school administrator, formerly serving as superintendent for Groton Public School in Connecticut. There, Paul Kadri oversaw 5,000 students in 11 schools. During his time as superintendent, the school district faced a serious financial crisis challenging Paul Kadri to maintain the school’s fiscal health. Paul Kadri surprised the district by managing this without any teacher and staff layoffs, all while increasing services to students. Throughout his career, Paul Kadri has also managed to increase each of his district’s school performances by providing proper tools and training to teachers and staff to better prepare students for assessments. Paul Kadri has also been a driving force behind bringing better technology to schools in order to improve classroom instruction. Paul Kadri enjoys being an active member of his community and therefore holds memberships in a variety of education-oriented associations. He also serves on the dean’s advisory board for the Johns Hopkins University School of Engineering where he was selected as one of 30 alumni nationally. Paul Kadri remains involved in charities and believes that interaction with other community leaders leads to strategic partnerships and increases accomplishments. His involvement with other community leaders and organizations allows him to give back to the community and enables him to share services and save money for all involved. When not working, Paul Kadri enjoys spending time outdoors. His favorite outdoor activities include boating and golfing. He also has an interest in real estate and enjoys following the financial markets. Paul Kadri resides in Groton, Conn., with his 9-year-old daughter and his Wheaten Terrier, Bunker. Prior to overseeing Groton’s school district, Paul Kadri was the superintendent for the larger Neshaminy School District in Pennsylvania. The district, which oversaw 9,200 students in 14 schools, was suffering from failing student performance when Paul Kadri took over in 2006. His plan to implement proper tools to address these performance issues paid off, including putting measures in place to attract and retain the best teachers. The school district saw an impressive increase in the school’s academic performance. Paul Kadri also helped Groton’s school district achieve a significant increase in assessment scores in Connecticut. He led the district to achieve academic results well beyond expectations. After a full year of implementing proper tools, the district’s high school improved their rank from 12th to 6th out of 16 comparable districts in statewide assessment scores. In 17 areas tested at the elementary and middle-school levels, growth was achieved in 16 evaluated subject areas with only a minor decrease in the 17th area. Paul Kadri has been instrumental in bringing technology to all the districts where he has worked. In order to improve classroom instruction, Paul Kadri created a task force in Groton to devise ways to better use technology and brought in vendors to determine the best products possible. While in New Jersey, Paul Kadri was approached by Dell to speak to its sales force. Once again, Paul Kadri proved that his innovative and creative practices pay off. Paul Kadri holds a bachelor’s degree in engineering from Johns Hopkins University and an MBA from the Wharton School. Paul Kadri has also pursued a Doctor of Education and a Doctor of Philosophy, completing several classes at the University of Delaware and the University of Pennsylvania, Graduate School of Education. Paul Kadri has been a member of Rotary International and a college recruiter and interviewer at Johns Hopkins University.